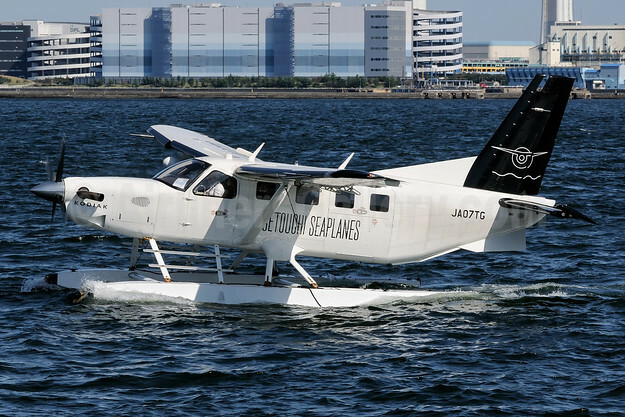 Setouchi Seaplanes is the first seaplane airline in 50 years in Japan. The company was established in 2014 and launched charter services in 2016, and is based in Hiroshima Prefecture. On October 21, 2018 the pictured Quest Kodiak 100 registered as JA07TG visited Yokohama harbor. In Yokohama, there used to be scheduled seaplane services until around 80 years ago. The airline visited Yokohama for the first time on this day, to bring back a glimpse of seaplane operations as part of the festival held in this seaside area. Akira Uekawa reporting from Japan. Copyright Photo: Setouchi Seaplanes Quest Kodiak 100 JA07TG (msn 100-0168) Yokohama Harbor (Akira Uekawa). Image: 944041. This entry was posted in Setouchi Seaplanes and tagged JA07TG, msn 100-0168, Quest Kodiak 100, Setouchi Seaplanes on October 23, 2018 by Bruce Drum.